Cerebral palsy—also known as CP—is a condition caused by injury to the parts of the brain that control our ability to use our muscles and bodies. Cerebral means having to do with the brain. Palsy means weakness or problems with using the muscles. Often the injury happens before birth, sometimes during delivery, or soon after being born. Physical symptoms typically appear in the first few years of life. Infants with cerebral palsy are frequently slow to reach developmental milestones such as learning to roll over, sit, crawl, smile, or walk. Cerebral palsy occurs in 1 in every 300 children (Source: Center for Disease Control). CP can be mild, moderate, or severe. Mild CP may mean a child is clumsy. Moderate CP may mean the child walks with a limp. He or she may need a special leg brace or a cane. More severe CP can affect all parts of a child’s physical abilities. 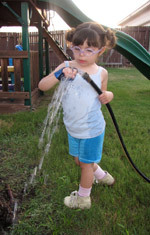 A child with moderate or severe CP may have to use a wheelchair and other special equipment. Sometimes children with CP can also have learning problems, speech, problems with hearing or seeing (called sensory problems), intellectual differences, and behavioral or emotional challenges. Cerebral palsy does not always cause serious disabilities. Usually, the greater the injury to the brain, the more severe the CP. However, CP doesn’t get worse over time, and most children with CP have a normal life span. Learn more about hemiplegic cerebral palsy. The upper motor neuron syndrome of cerebral palsy leads to several types of muscle over activity, including spasticity, which means muscles tighten involuntarily. Children with hemiplegia develop spasticity on one side of the body. Spastic muscles do not show typical growth patterns and over time, muscle contractures can develop. Reducing muscle spasticity may be an important goal of treatment. This can improve comfort and function and help prevent future musculoskeletal complications such as contractures (permanent tightening of the muscle). Early prevention of contractures may reduce the need for corrective surgery. A primary treatment option for spasticity is physical therapy which may promote maximum joint motion and muscle lengthening. When physical therapy isn’t enough, other treatment options include injections of botulinum toxin, muscle lengthening surgery, selective dorsal rhizotomy, and the Baclofen pump. “What do you mean ‘what’s wrong with her? '”: stigma and the lives of families of children with disabilities. Intrauterine exposure to infection and risk of cerebral palsy in very preterm infants. Pain in children with cerebral palsy: common triggers and expressive behaviors To obtain parents’ identification and description of the behaviors, health care procedures and daily living situations associated with pain in children with cerebral palsy. Canada. Brain reorganisation in cerebral palsy: a high-field functional MRI study. 1 subject, 15 years old, with perinatal left-sided hemiparesis.